There is no SEA ver right? Saw steparu playing this game. Titan HM is easy lah, you tank right? Anything blame healer + dps. I am Mnk in titan hardmode. I dont like be tank in titan HM. Why? Tank has the easiest role in Titan HM, you go be melee dps lagi worse. saysuzu and avsquare like this. Hey, at least I'm part of the action. And I'm trying not to be the 1st to die. My LS got one mnk usually dies last 3rd. Very good. Hope to be like him. Its quite fun. Playing melee during PS, coppermine HM, Ultima also fun. Guess I will only switch back to tank when doing Gurada EX. My LS still abit not ready, At least I'm still a bit short of gear. random pug team so not really easy loh. If not you'll just get farked left right center straight from Garuda EX onwards lol. 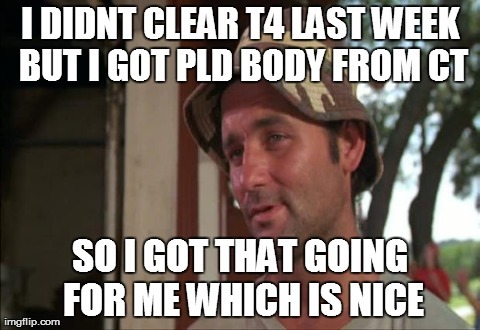 Not really leh, now pugs can do T4 quite well also. Afterall BC has been up for so long already, just that T5 is still a very tough exam, and sometimes you do need luck to clear even though your whole team are skilled. Think 2 weeks ago or last week I building my new rig and the rig could not be up on time and I have to miss the raid that night, so I went to pug instead. I think cleared in on 3rd or 4th try, starting part just a little confusion on who attack what and tanks going to wrong place (OT went to MT position and vice versa). tank BIS is not in EM or Ultima i think ? I not tank so I dunno, but I've seen some PLD using the Primal sword and shield leh haha. But I've heard that tank don't need primal accessories thou. But nonetheless if your accessories aren't i90 yet, it's STILL something you can farm for unlike BC. And if you get it, it's still an upgrade unless it drops your accuracy beyond rescue by food. But again, only BC requires that sh1t load of accuracy. You can always swap out when doing BC which is once a week. Other contents like HM dungeons and WPSR you don't need so high accuracy, and one thing to note, EM Primals don't need accuracy one. Just put on your highest level and most damaging gear and whack only. Compare to stone vigil with newbies, Garuda EX looks easy to me.